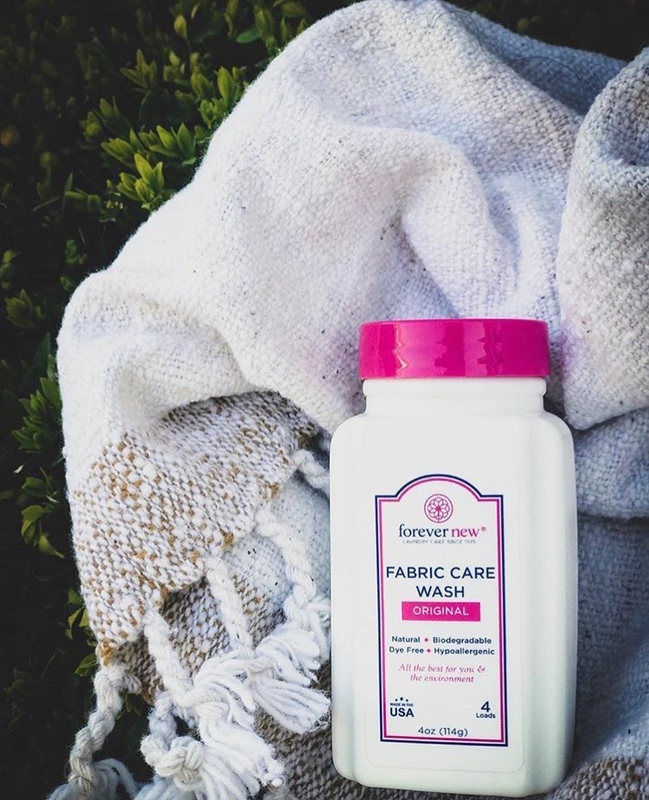 Forever New Fabric Care Wash- This fabric care wash safely and effectively prolongs the life of fine garments. 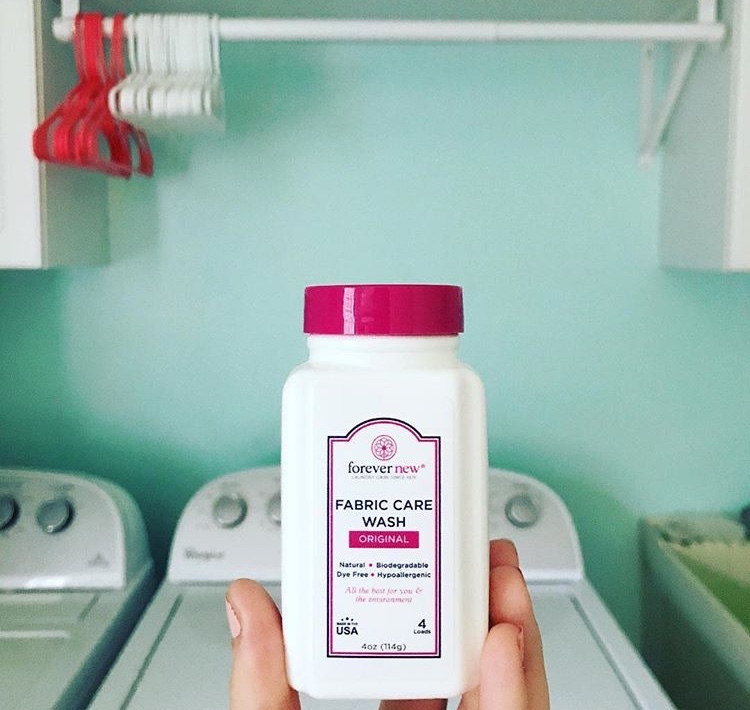 The natural base gently cleans, brightens, and preserves color all while rinsing completely free and leaving no residue to damage the fibers of the fabric. This organic blend of citrus and sodas is dye-free, hypoallergenic, dermatology-tested, and made in the USA.